Envirate is an award-winning app that allows anyone to rate their environment via the three main senses: Look, Hear, and Breathe. The global Environment Online (ENO) network has planted over 20 million trees and has established a network of over 10 000 schools in 150 countries. ”Envirate is the perfect tool for us and our global network. 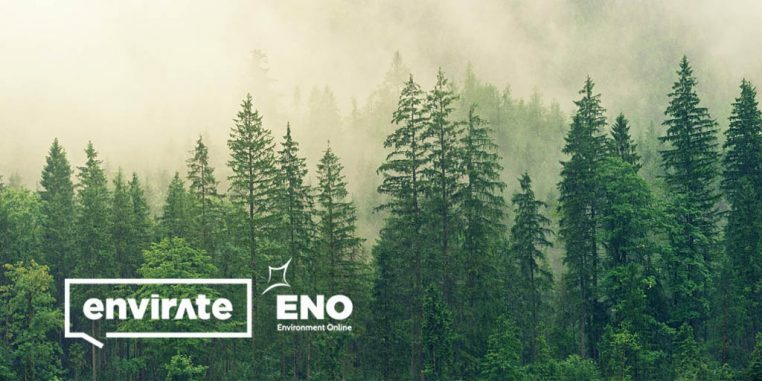 We will use Envirate in our ENO activities and we will challenge our Green Cities around the world to join this huge environmental movement and rate our network’s cities”, says Mika Vanhanen, founder of ENO. Envirate is currently negotiating with some other international tree planting organizations that wish to have the locations of their trees registered and stored in blockchain. “We are open to any new cooperation in the tree planting field”. Envirate is an award-winning mobile application for assessing the state of the environment wherever you go. The application enables people to evaluate their surrounding environment in the same way as, for example, hotels are evaluated by customers. Envirate is free to use and available in every country worldwide. Quality of the environment in 23 cities in 17 countries have already been rated – many more to come! Environment Online – ENO is a global network of schools and communities for sustainable development. Since its launch in 2000, over 10 000 schools in 157 countries have joined ENO and done concrete deeds for the environment like planted trees. Two annual tree planting days in ENO take place on UN Days: for biodiversity 22nd of May and for peace 21st of September. This voluntary network also covers ENO Green Cities, currently 54 cities or municipalities in 23 countries.